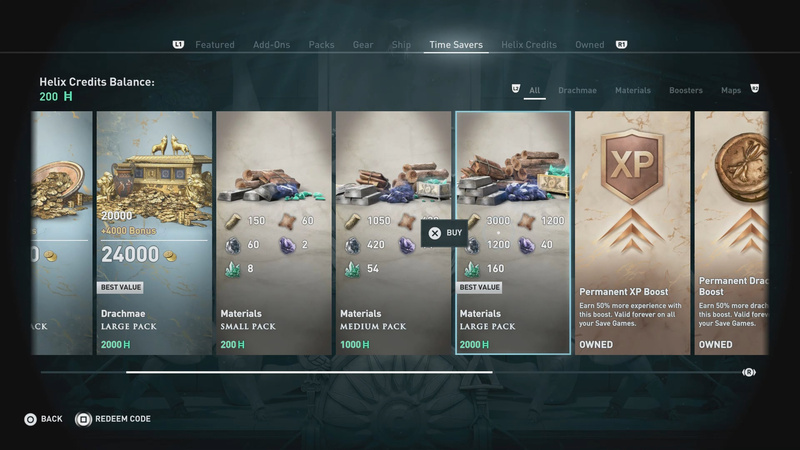 Assassin’s Creed Odyssey features a fully fledged crafting system which requires that you collect different resources when you are out and about in Greece. One resource you want to collect is Soft Leather. This material is useful for engraving armor and should be gathered as much as possible. To help you stock your resource pile, let’s take a look at how to get Soft Leather in Assassin’s Creed Odyssey. Hunting animals is one of the only ways of acquiring Soft Leather. When you loot an animal you’ve hunted you will get Soft Leather. Soft Leather is one of the few resources that have pretty much a singular source of gathering. To get Soft Leather, you are gonna want to hunt animals. Whenever you kill an animal, loot its body to receive some Soft Leather as well as other animal parts. The amount of Soft Leather dropped by animals appears to be random, but Legendary/Alpha predator animals will give you far more than normal animals. An alternative to hunting is to dismantle your gear for resources. This process can be done on the inventory screen. Hover over the weapon or armor you wish to dismantle and hold the dismantle button. Upon dismantling, you will receive a collection of resources including Soft Leather. If you don’t feel like hunting or dismantling, and have some Drachmae burning a hole in your satchel, make your way to the nearest town with a Blacksmith. Blacksmiths sell various resources including Soft Leather. To purchase one piece of Soft Leather it will cost you 20 Drachmae (keep in mind that each Blacksmith carries a different set of three resources, so you may have to go to multiple). Hunting animals on land. Killing Legendary and Alpha animals yields more Soft Leather. Buy from Blacksmith for 20 Drachmae per piece. Looting War Supplies before burning them gives you a chance of getting Soft Leather. Looting Sharks you kill on the sea will net you some Soft Leather for your troubles. When you are out on the sea you can still collect Soft Leather, although it is pretty inefficient. There are only a few types of animals you can hunt on the water, one of which is sharks. 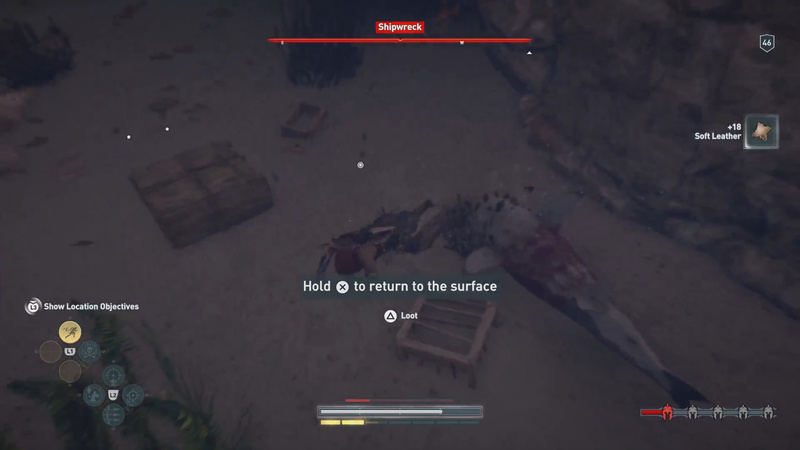 When you kill a shark in the sea, loot its body to receive some Soft Leather. Engaging in ship combat can net you some Soft Leather as well, but this comes by way of looting weapons and armor when boarding enemy ships. This can be fairly efficient, but requires having a somewhat decent ship to take down enemies in a timely fashion. You can also ram enemy ships to death and receive a chance at getting some Soft Leather as well. Looting chests after boarding enemy ships (Dismantle Armor/Weapons you receive). Killing Enemy ships by ramming them instead of boarding. 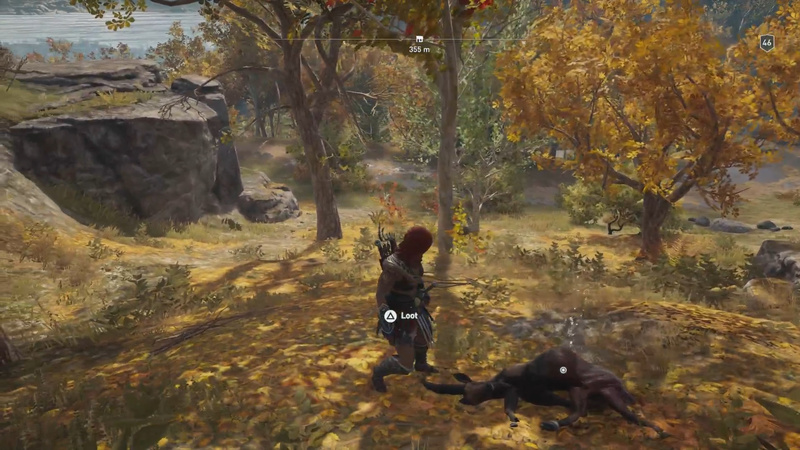 If you don’t want to farm for materials like Soft Leather, Ubisoft has another option for you. If gathering resources isn’t your idea of a good time, Ubisoft has a way for you to speed up the process by simply buying materials with real dollars. This can be done through the Store in game under the Time Savers tab. You can buy various packs of Materials with the most expensive pack having 1.2k Soft Leather inside it. Buy Soft Leather from Ubisoft with real dollars. Anything to add to this how to get Soft Leather in Assassin’s Creed Odyssey guide? Let me know in The Pit below. Where to sell animal skin? You can sell you animal skins at the Blacksmith in towns. So far, I’ve found that the area around Grand Mount Parnassos in Phokis is a great area to get deer and bear. Thanks for the comment Jessica. If you haven’t checked out Legendary Animal spots (denoted by a paw on your map), you should. They often have a ton of wildlife you can farm for materials! I haven’t found a great spot to farm wildlife yet so perhaps it ends up being faster, but right now the best way that I have found to obtain soft leather is from hideouts, forts, leader houses, etc. Depending on the size of the location there will be several (2 – 4 ?) stockpiles to burn. If you loot the stockpile first, you can get a decent amount of soft leather. I ran a fort last night in a couple of minutes for 4 x 50+ soft leather so I cleared over 200 in a couple of minutes. Thanks for this! I’ve added it above. In terms of hunting, if you go to Legendary Animal spots (denoted by a paw on your map), you can often find a ton of wildlife. Hope this helps.